By heck its dark here already. Had rubbish light all day for pics! Tuesday Morning Sketchers - "buttons & bows"
Kaboodle doodles - "anything but a card"
Character Cafe Tuesday Tutorial....problem solved!! Oh Helen. That is just so gorgeous. Lovely colours and I just adore the rabbit, so cute. Have a lovely evening. Keep warm and safe. Sweet gift bag Helen! So glad you played the Crafty Creations challenge!! Super adorable - that bunny is really cute! Cute! Those are cool buttons! I think you were last week's winner---lucky you! Thanks for playing along with us at Tuesday Morning Sketches! He's super - thinking ahead it would make a great Easter gift. Thanks for joining in with the Kaboodledoodle challenge. what a sweet little bunny on your cute bag!! Thanks for joining us on Crafty Creations with this lovely work! Good luck! Thanks for playing with us at Tuesday Morning Sketches! 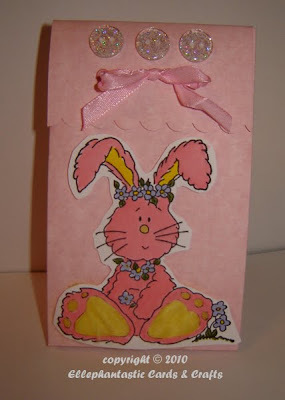 wow, what a cute little bunny and smashing project Helen.